Many thanks to the 326 Parish families that have contributed to help us meet and exceed our 2017 DPAA Goal! Now the Second Part of the campaign begins: The Concrete and Asphalt Project! As good stewards, we have the responsibility to maintain our Parish Campus both now and for those who come after us. If you have not done so lately, I would encourage you to walk or drive around the drives in the back of the parish near the ball fields. These concrete and asphalt areas have outlived their useful life and are crumbling creating both a safety hazard and areas where excessive rainfall pools and remains which can attract our flying insect friends. In addition, the drive to the rear of the rectory had to be removed during the gas line repair this past winter and is now a gravel patch. So let’s all “dig in”, “cement” this project, and make a “concrete” difference in our parish grounds! The best way to accomplish this goal is to make an additional or new contribution to the 2017 DPAA campaign. 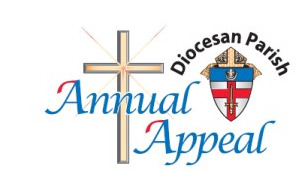 As we have met our diocesan goal, all contributions now made to the DPAA are returned to MQH 100%! NO Fees, NO Expenses, NO Assessments! Cash, Credit Cards, and Stock donations are accepted and may provide you the donor with some benefit such as airline miles, cash rewards on your credit card or bypass capital gains on stock that gained in value. Let’s all of us “chip” in and “seal” our goal to raise $48,000.00 to “cement” this most necessary project! Our Time, Talent, and Treasure Stewardship program continues to be vibrant and alive! Thank you!! The 2017 Fish Fry was our most successful ever and was only possible with thousands of hours of Time and Talent being freely and joyfully given. Thanks to all!! It looks like it might happen this year…The Offertory Program just might exceed $1 million dollars!! WOW!! What a fantastic outpouring of generosity by all our Parish Family and Friends!! Thank you! Our Summer Stewardship Program, 2017 Fun Fest, is just a few short weeks away. We need YOU!! Can you buy four raffle tickets, volunteer for a few hours to work, tell all your friends and neighbors about this great event, come and enjoy a nice evening and spend a few bucks? Hope to see you all there.